Sydney Vasectomy Cost - How much does vasectomy cost in NSW? The total cost of non-scalpel vasectomy is $650. You should get a Medicare rebate of $195, which means your out of pocket cost is $455. No-Scalpel Vasectomy – the most comfortable method. Option of single-visit consult & procedure, or two separate appointments. Convenient choice of Sydney vasectomy clinic locations in Penrith, Fairfield, and Canterbury. You will have our no-scalpel, single-puncture, minimally invasive, gentle touch vasectomy. Our method is known to promote faster healing and minimize the risk of complications compared to standard vasectomy procedures with a scalpel and sutures. Get the best possible experience by choosing Gentle Procedures Sydney vasectomy clinics. 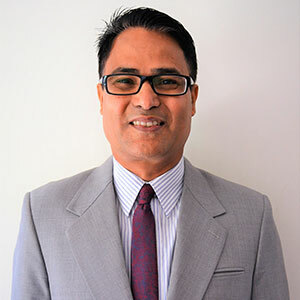 All procedures performed by an experienced doctor – Dr. Naresh Parajuli. Comfortable modern facilities conveniently located at three Sydney vasectomy clinics for easy access. Why do men prefer a gentle touch vasectomy? That is why we provide our vasectomy service to address the concerns our patients have while providing the highest quality care available. The Cost for a Gentle Procedures Vasectomy – It’s worth it. We are proud to provide an exceptional level of service. The choice to get the best possible vasectomy experience is a simple one for NSW men. Our patients indicate to us that when they consider the fact that they have a choice of vasectomy procedure and provider, it “just makes sense” to choose Gentle Procedures Sydney vasectomy clinics for their once-in-a-lifetime vasectomy procedure. Prior to your vasectomy surgery you will have a consultation with Dr. Parajuli. This can be done prior to your procedure during the same visit to our clinic – or you can schedule a separate consultation appointment if you prefer. Choose the method that is best for you. Either way you will benefit from our vasectomy procedure. If you choose the single-visit option you will not come to the clinic until the day of your procedure, and Dr. Parajuli will review the procedure with you prior to your surgery, as well as conduct a physical exam. There is a small chance that the results of the exam or consult will lead us to defer your procedure, but this occurs in a very small portion of all cases. How Much is a Vasectomy in Sydney? The net cost for your vasectomy at our Sydney clinics is $455. The price for your vasectomy in NSW will depend upon what doctor and clinic you choose for your procedure. At our clinic, the out-of-pocket cost for your no-scalpel vasectomy will depend in part on the amount of Medicare rebate that applies in your situation. Generally a rebate of $195 will apply to our price of $650, resulting in a net cost of $455. At Gentle Procedures Sydney vasectomy clinics, we offer a single-visit, no-scalpel vasectomy procedure to improve your experience and save you time. Please contact us anytime by phone at 0490 813 714 or use the contact form for any questions.